Home > Disney Theme Park Tickets! Are you looking for the perfect way for you and your family to visit Disney’s Magic Kingdom? If so, you are in luck because we have an amazing ticket package for you! The Disney Base Tickets allow you admission to the 4 Disney Theme Parks. You are allowed only one park each day of your ticket. If you start the day off at the Magic Kingdom® Park, you MAY NOT visit Epcot®, Disney’s Hollywood Studios® , or Disney’s Animal Kingdom®. However, you MAY leave the park and come back to THE SAME park that day. This ticket does not include any extra admissions into the water parks and smaller attractions. Each day of your ticket, you may “hop” between the theme parks listed above. For example, you may start the day off at Magic Kingdom® Park, “hop” over to Epcot® for lunch, and catch the Fantasmic! spectacular at Disney’s Hollywood Studios® at night. Enjoy the both the Hopping Option and the Water Park Fun & More Options. Both options are included in the Hopper PLUS Tickets. This ticket gives you ultimate flexibility to enjoy the Walt Disney World Resort in Orlando Florida! The Hopper PLUS Tickets will allow you “hop” between the theme parks. Disney’s Blizzard Beach Water Park : Disney’s Typhoon Lagoon Water Park : Disney’s Wide World of Sports® Complex : Disney’s Oak Trail Golf Course. Have you ever been to a theme park and it is so crowded that the line for the ride you want to go on seems like a mile long? 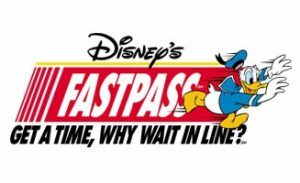 Well, you will not have to worry about that any longer when you get the Walt Disney World’s FASTPASS+. With the Disney FASTPASS+, you can go into the parks knowing that you will be able to have a spot on your favorite ride. You can book your FASTPASS+ experience online before you even get to the parks. Not only will you be able to book your FASTPASS+ before you arrive at the park, but you can actually change how you want to use your FASTPASS+ while you are at the park. The FASTPASS+ is good for more rides and attractions within the park (including character visits, Disney’s world famous parades and more). This is the best way to visit the parks. Your time of waiting in long lines are over when you use the FASTPASS+. Do you want to know the best thing about the FASTPASS+? There are no hidden charges! That’s right. The price of the FASTPASS+ is included with the price of your Disney ticket. Be sure that you check out what the FASTPASS+ is all about. Once you go with the FASTPASS+ from Disney, you will not want to visit the park without it. The Disney FASTPASS+ is now even easier to use. All that you have to do is download the companion app for FASTPASS+. You will be able to change your plans on the go when you use the Disney FASTPASS+ app. Follow the link below and you will be on your way to the fastest and easiest way to experience Walt Disney World. Click here for the Disney FASTPASS+ app (available at the App Store and the Play Store).